If you are a defendant in litigation filed by the Division of Child Protection and Permanency (“DCP&P”), formerly known as the Division of Youth and Family Services (“DYFS”) and you not agree with a trial court’s decision, you can file an appeal with the New Jersey Superior Court, Appellate Division. In fact, whether the family court has found that you abused or neglected your child or that your parental rights should be terminated, you have a right to request further review of the trial court’s decision. However, there are Court Rules that control how and when an appeal must be filed and you should not hesitate to contact an experienced DCP&P defense attorney to discuss your options. Fortunately, the experienced DCP&P appellate attorneys at the Tormey Law Firm have handled many appeals and argued before the Appellate Division and they are ready to help you with your DCP&P appeal. We represent clients throughout New Jersey including in Elizabeth, New Brunswick, Paterson, and Jersey City. Contact our experienced DYFS attorneys now for immediate assistance at (908)-356-6900. The initial consultation is always provided free of charge. How do I appeal the court’s decision in my DCP&P (DYFS) case? The New Jersey Court Rules set forth a number of specific requirements that must be met in order to properly file an appeal of a trial court’s decision in a DCP&P case. First and foremost, any appeal of a fact-finding order that you abused or neglected your child must be filed within forty-five days of the Order Terminating Litigation of the Title Nine matter. Similarly, an appeal of a Judgment of Guardianship Terminating Parental Rights must be filed within twenty-one days of the judgment. Thus, if you are a defendant in child abuse and neglect or termination of parental rights litigation and you disagree with a judge’s recent decision, time is not on your side and you should contact a DCP&P defense lawyer to discuss your appellate options. 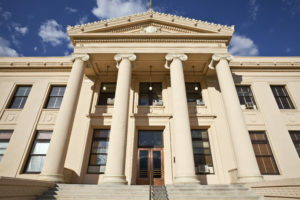 In addition to the timing of an appeal, the Court Rules specify the proper form and information required to be included in the notice of appeal, case information statement, transcript request, brief, appendix, and requests for oral arguments. Moreover, depending on the nature of your appeal, there are different standards of review that apply to different types of issues raised on appeal. In other words, different standards control how the Appellate Division will review an appeal if you are appealing a finding of fact versus a conclusion of law. Accordingly, rather than trying to handle an appeal on your own, you should consider contacting a seasoned DCP&P appeals lawyer at the Tormey Law Firm for a consultation regarding your case. Furthermore, if you file an appeal of a trial court’s decision in a DCP&P matter, the Division’s response will be prepared, filed, and argued by DCP&P’s attorney, a Deputy Attorney General. In addition, a Law Guardian appointed by the Public Defender’s Office will submit a brief and argue on behalf of your child. The bottom line is that appeals in DCP&P cases are not only subject to strict time frames but they are also controlled by very specific court rules and the Division’s response to your appeal will be handled by an experienced Deputy Attorney General. If the court found that you abused or neglected your child or has terminated your parental rights and you want to appeal the court’s decision, contact the experienced DCP&P attorneys at the Tormey Law Firm today to discuss your appellate rights at (908)-356-6900.